See the Global News Report - Dancing for Change! Visit our backpack section for backpacks. Having a kids cooking party? Get kids chef hats and aprons to help inspire the chefs. 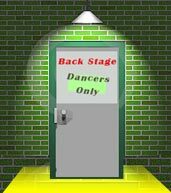 See our dance section for free dance lessons and tips. Our site is all about dance, gymnastics, having fun, being fit and eating healthy. We are both competitive dancers and acro-gymnasts. 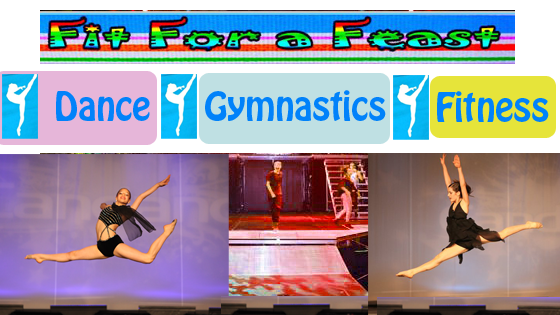 Check out our Dance Section and Gymnastics Section. Find more dance performances by FitForaFeast. Started New Fitforafeast Fan Page with Your Video Montages! GoFit GF-AM6 Aerobic Mat (2' x 6') - this one is thinner, more for floor work, but under $40! This is the newest mat with a handle for easy transport. There are many ways for kids and teens to stay fit and healthy - you just need to be active doing what you like and eat good, healthy foods. We love dance and gymnastics, and our friends do too! So we get fit while having fun learning new dance moves and doing fun gymnastics tricks. Do you love the trampoline, jumprope, ball sports, skiing, swimming, hiking, biking or even walking? Then make a point of doing more physical activity that is fun during your day and soon you will feel better and better as you become more fit! Watch out for unhealthy foods and enjoy fresh fruits and juices, veggies, salads with yummy dressing (Katrina's favorite is a balsamic dressing on salad) and that one-two punch of being more active and eating better WILL help you feel better! 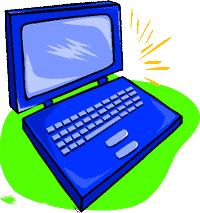 Check out our kids cooking section for free recipes and video recipes we made for you to try. Feeling better means you can concentrate more and have more fun, so enjoy your dance, gymnastics and other fun activities and you will automatically be more fit too! © 2015 Fit for a Feast- a fun place for kids dance, gymnastics, cheerleading, cooking, kids fitness and kids activities. Join Katrina and Sloane for some great dance tips, gymnastics videos, cooking recipes, dance competition videos and fun activities.